A solid brand development strategy can mean the difference between floundering or growing your business 10x. Your brand development strategy is a critical component of your company’s long-term plan for growth. It provides clear insight into your marketing action plans and should be revisited and reviewed frequently. It’s not just a one-and-done project that gets put in a file cabinet and is left to collect dust. We’re not just covering the basics of branding in this article. We’re sharing real and actionable insights that will boost your B2B marketing to a whole new level. Step 1: Establish your brand core. What’s a brand core? It’s that hard to define, “mushy middle” of an organization. It’s the stuff that makes up a company’s culture and drives its behaviors. Just like a body, if this core is built strong and regularly exercised, it improves the function of all other portions of the whole. First are brand values, or the drivers for your business. They’re a shared group of principles that your company lives by and they help guide decisions made throughout the organization. Second is brand vision, which helps determine where the company is headed. It’s critical to let your entire organization know which direction the business is headed in, so everyone can be on board with pushing together. It should be a visual picture of what the company looks like in the future. Third is brand position, or the space that you own in your customers’ minds. It’s often referred to as your unique selling position or key differentiator. We like to identify three things that make your business unique in your market. Your competitors might share one of those things, maybe even two. But the chances of sharing all three is unlikely. That said, if they do share all three, you need to head back to the drawing board. Finally, your brand promise helps shape your marketing message and clues your customers into what you’ll never do to let them down. It’s an assurance or declaration of how your brand interaction takes place. This promise should be measurable, meaningful, and speak to the value of your brand. Sometimes a perfect storm will keep you from running your business the way you want. You’ll fail to deliver on something that you assured a customer you could do. If your business fails at all other things, what’s the ONE thing you’ll never compromise for the benefit of the customer? No matter how you might feel about Walmart, their brand is committed to making sure people save money on everyday products. Step 2: Build your brand foundation. The brand foundation is what most people think of when they think of branding. But if you ask ten different marketers what branding is, you’ll get ten different answers. We define brand foundation as the primary elements that make up your brand: the name, logo, tagline, company descriptor & lexicon. So how do you set your brand foundation? There’s more that goes into naming a company–and naming it well–than you might think. Some of your strongest inclinations might hinder rather than help your brand, in the long run. This is important to consider whether you are starting a new company, rebranding an established one, or creating a new branch of your business. that’s based on a location. Why? Because you might grow out or away from it. Your logo forms the visual base for how the rest of your brand shakes out. Many of your customers will rely on your logo in order to recall your brand. A strong logo can provide the framework for the rest of your visual identity and help customers associate with your brand. Aim for easy recall. There’s more than a handful of iconic brand logos that are super easy to conjure up in your mind Having a logo that’s easy to recall means holding a space in your customer’s mind that’s associated with a product or service. Avoid extremes. A logo should carry enough context for users to remember and latch onto. But it should never be so literal that it looks like Clipart trying to identify what your service is. So shoot for a balance. On the “too abstract” end of the spectrum is the run-of-the-mill (and totally overplayed) globes, spheres, swooshes. An example of “too literal” are those little house icons used by the vast majority of realty companies. As logos go, they’re as cookie-cutter as the houses realtors are trying to sell. Be original. Have fun with your logo. It should be as unique as you are and your business is. Be sure to research your market, name, and logo shape to ensure you can differentiate yourself from the competition. Keep it simple. You’ve probably noticed that, as brands get bigger, the logos get simpler. This isn’t a coincidence. 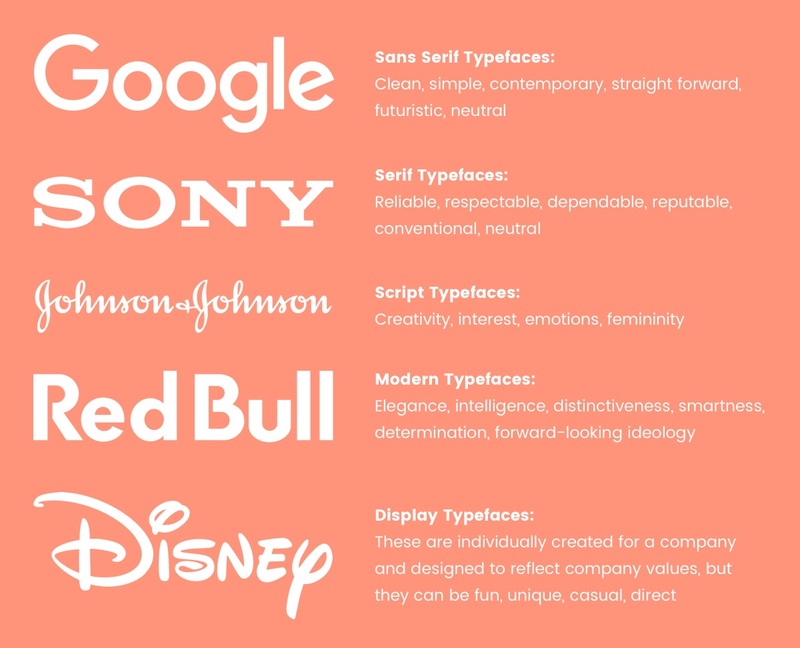 Simple logos work better across all mediums and are easy for users to digest. Use minimal colors. In the same vein as “keep it simple,” don’t make your logo look like a Light Bright nightmare. So reduce the number of colors you use down to one or two. Beyond that, your logo won’t reproduce well in black and white and will lose context. Speaking of colors, choose wisely. Colors elicit feelings, sometimes at a subconscious level. Some feelings will help people connect to your brand in positive ways. Others won’t. Outdoor brand colors are usually earth-like; we expect to see the colors of nature in an outdoor brand. Makeup brands, on the other hand, use pinks, purples, and other colors that compliment skin tones. Fashion brands, on a final note, tend to stick to black & white to not compete with their own products. Avoid clichés. Avoid using a logo that you can find quickly and easily on the internet. Do a quick Google image search to make sure nothing comes up that looks the same as the logo you want. Especially don’t use a logo if it’s close to something a known competitor is using. That’s just bad juju. A tagline helps tell your brand’s story. It sets the stage for more to come. Really good taglines help support a brand’s name in a way that feels natural, never forced. Don’t confuse famous taglines for good ones. I bet you can guess the tagline most people conjure up immediately when thinking of examples. Really, it’s a familiar one. You’ve probably said it before: “Just Do It.” C’mon, Nike. Do what? Anything? See, when you’re as big as Nike, you can have an elusive tagline. But for you–and perhaps just for now–it’s best to go with a tagline that helps people latch on to the name. This helps people put your company in a box so they can better identify and grasp who you are & what you do. It should be down-to-earth and free of jargon. Target: Target is a retail outlet for middle-class families who want style on a budget. Volvo: Volvo manufactures automobiles for families who want maximum safety. Home Depot: Home Depot is a hardware department store for do‑it‑yourselfers who need supplies and expertise. Name of business is (or makes/offers/etc.) a kind of product or service for target customer who (that) have (has) a specific need. WE•DO is a B2B marketing agency for small businesses that need to outsource their marketing efforts. This is a word bank to help you support your overall brand and will be used in all marketing efforts. Take our brand, for instance. What does “WE•DO” mean? It’s about collaboration and action. The idea here is to support the overall brand essence. This is accomplished by utilizing words that work in conjunction with your brand name as well as speak to your audience. Step 3: Spread your brand footprint. Your brand footprint is the impression that your brand makes. It’s where your brand falls within a given market. It describes the area and space a brand can own, that aligns with the target audience. What does your brand footprint encompass? Your brand’s website forms the backbone of your marketing efforts. It functions as your marketing hub. The days of a brochure style website are gone. The modern website is nimble, agile, powerful and continuously improved upon. Through proper analytics, you can learn more about what your customers want than ever before. Here are a few key tips to consider when creating your website. Every page on your site should have a goal attached to it. If it doesn’t have a goal, get rid of it. Use a website platform that’s easy to update and maintain. You don’t want to have to call your web designer every time you need to make a text edit or post a new blog post. We suggest using WordPress, which powers 30% of websites on the internet. Seriously, making adjustments to your website has never been easier. Your homepage should be “on brand” and communicate your brand message in a clear, compelling & quick way. Expect your visitors to spend between 2 seconds and 2 minutes on your site. Ask yourself: what can I leave them within that amount of time? Make your site mobile friendly. Google won’t like it if you don’t. Add an SSL. It makes your site secure and will change the HTTP to an HTTPS. SSLs are free nowadays (and having one will make Google smile!). Use your site as a tool. It’s not a brochure, so stop treating it like one. Capture leads, measure user activity, learn & iterate. Citations are the digital “land grab” for your business. They focus on business details such as store locations and services areas. A few examples are Google My Business, Yelp & TripAdvisor. If you’d like to learn more about digital citations, check out our article about how local SEO can increase traffic to your business. Ensuring you own your brand’s social media handle is a must. Sign up for accounts that are relevant to your niche and customer-base–whether Facebook, YouTube, Twitter, LinkedIn, or other platforms–and own the space for your brand name. Step 4: Design your marketing framework. Your brand footprint’s in place. You know where you’re headed. Now let’s develop a marketing framework that’ll inform how you get to where you’re going. You wouldn’t build a house without a blueprint, would you? Your marketing framework is the blueprint for your brand development strategy. In this section, we’ll help you identify who your target audience is, what topics they’re interested in (as it relates to your business), and what channels and tools you might use reach them. It’s vital to your brand marketing that you have a dialed-in buyer persona. Because 70-90% of the buyer’s journey is complete prior to engaging a vendor, it’s critical to know how to interact with customers. Where do they hang out? What are their interests? What drives them? Most importantly, what problem or problems will your products or services solve for them? Knowing how to communicate with your customers at each stage of the marketing cycle means the difference between brand growth and brand demise. Your business might have multiple buyer personas. Each one will help you identify opportunities and communication strategies that will drive your marketing efforts harder and farther. Keyword research is worth its weight in gold. Prior to diving headlong into creating content, identify topic clusters that match up with your business objectives, buyer personas, area(s) of expertise & largest growth opportunities. Then zero-in on what keywords to go after. Knowing your keywords and groups beforehand is how you avoid the typical, haphazard approach to content creation. We see so many business owners and marketing teams do it the other way around and get it terribly, terribly wrong. Content is good. It’s great. You need it. But Google is after laser-focused content that yields the best information and therefore has the biggest impact. First, find a tool that can get the job done. Google Keyword Planner is a good one, and you get it for free when you set up an AdWords account. This tool can help you identify search volume for specific keywords and guide which keyword or key phrase should be the parent theme. Once you have your tool at the ready, try brainstorm all of the different ways your customers might find your business. This can be a free-flowing activity that you return to later to group the ideas into general themes. After you have a pile of keywords in each theme, drop the topic cluster into the Google Keyword Planner to generate a ton more ideas along with relative search volume. Now that you have the topic clusters you want to own, spend some time on Google searching for the parent themes and keywords. This will show you what content is already ranking at the top of the search engines that you would want to replicate. You can read more about how to create skyscraper content here. Next, spend some time on YouTube to see what people are watching under those same search term clusters. YouTube is currently the second largest search engine in the world and can provide a ton of insights into what people are interested in. By knowing what topic clusters you want to “own,” you can better communicate through your content marketing strategy and spend your efforts effectively reaching your audience. Your brand development efforts should focus on identifying and utilizing marketing channels that align directly with your buyer personas and where they are in the funnel. Once you’ve identified which channels your brand needs to be actively marketing through, spend the time and effort to master it. After you know the channel is working (through tracking and KPIs), move on to the next channel. After you have a few channels that are working well, make sure you are maximizing the content and messaging you are building. Getting the most mileage out of each content piece will further help your ROI. Sometimes, the sheer number of online tools can be overwhelming. It can be hard to keep up. Which is why we believe and promote the philosophy of keeping it way mo’ basic. Just keep things simple. Find a handful of tools that work for you and make your life easier. Grab some of our brand building B2B marketing goodies you can start using today! The days of broadcast advertising for most businesses are gone. Using inbound marketing as part of your brand development strategy can bring long-term growth. Content creation: social media, digital media, and blog posts. Every brand needs to be a content producer at some level. Customers almost expect it these days and it’s easier than ever to do. When creating new content, develop a strategy of how all the content supports itself and the overall brand. Use analytics and insight tools to help guide what content is attracting your target market. Data-driven decisions will help you grow faster and find more effective opportunities than shooting from the cuff. Convert visitors to leads with forms, lead captures, and chatbots, etc. This goes back to your website as a tool topic above, but make sure you are providing value to your users and exchange that value for their information. Engage users using new chatbots or messenger tools that have come a long way in the last year. Chatbots allow for users to ask questions and get answers to common questions much faster and in an interactive way. Users in all industries expect better experiences than outdated websites can provide. Fail to keep your site fresh and responsive and potential customers will bounce to a competitor site. Once you have converted visitors to leads through your b2b marketing efforts, you need to turn them into customers. To do this, cultivate trust and nurture your leads through email drip campaigns, phone calls, meetings, and more. There are many tools to aid in the conversion but regardless of b2b marketing tools you use, you need to qualify your leads and deliver value to them. Finally, you need to have a clear “ask” where you ask them for their business. This is sometimes called a Call To Action or CTA. Make sure you have the right CTA a the right time in your buyers’ journey. HubSpot refers to this “delight” stage as providing a remarkable experience when your customers interact with your brand. This should be at the heart of your brand marketing strategy. How can you leave your customers with a remarkable experience? The more delighted your customers are, the more likely they will pass on their experience with a friend or colleague. Raving fans have influence, so use tools to spread their positive reviews, referrals, and support. Your brand development strategy won’t come together overnight and if it does you are either well funded or need to spend more time developing some aspect of the brand. By taking a methodical approach to your brand development, you can build upon what is working, learn from what isn’t and create a brand that can stand the test of time. If you need help with your brand development strategy, feel free to reach out to us. Your brand development strategy is a critical piece to building a successful brand and we would love to help. It’s what we do. Owner of WE•DO Worldwide, a b2b marketing agency building brands that can be a catalyst for positive change through collaboration and action. Developing your content marketing strategy doesn’t have to be difficult. In fact, with the right tools and some simple brainstorming, your marketing content workflow can be downright delightful! 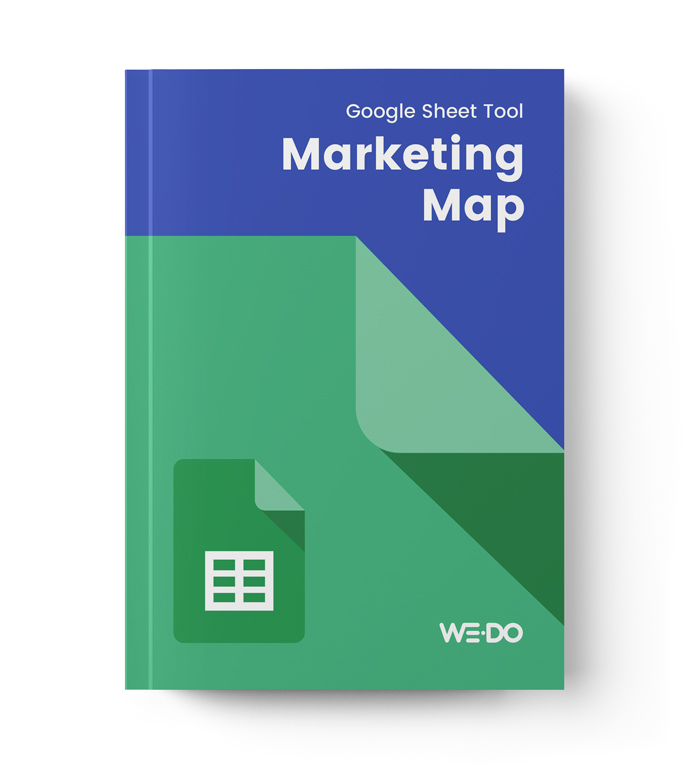 Fill out the form below to gain access to our tried and true marketing strategy template (Google Sheets) to start using today. Do you have an internal marketing team? * --select-- Yes, but it's just me. Yes, 2 or more people. No.